Bogs Mens & Womens Black Food Pro Mid Rubber Waterproof Slip Resistant Work Boot! Bogs Food Pro High is manufactured in Mens sizes. To select boots for women, reduce by two sizes. For example: Womens size 10 = Mens size 8. Durable The Bogs Food Pro Mid boot brought to you by ShopBigTime features the NEW Bogs Bio Grip outsole for an unprecedented combination of slip and chemical resistance. Our most innovative outsole is also self-cleaning for additional traction in debris-laden surfaces. 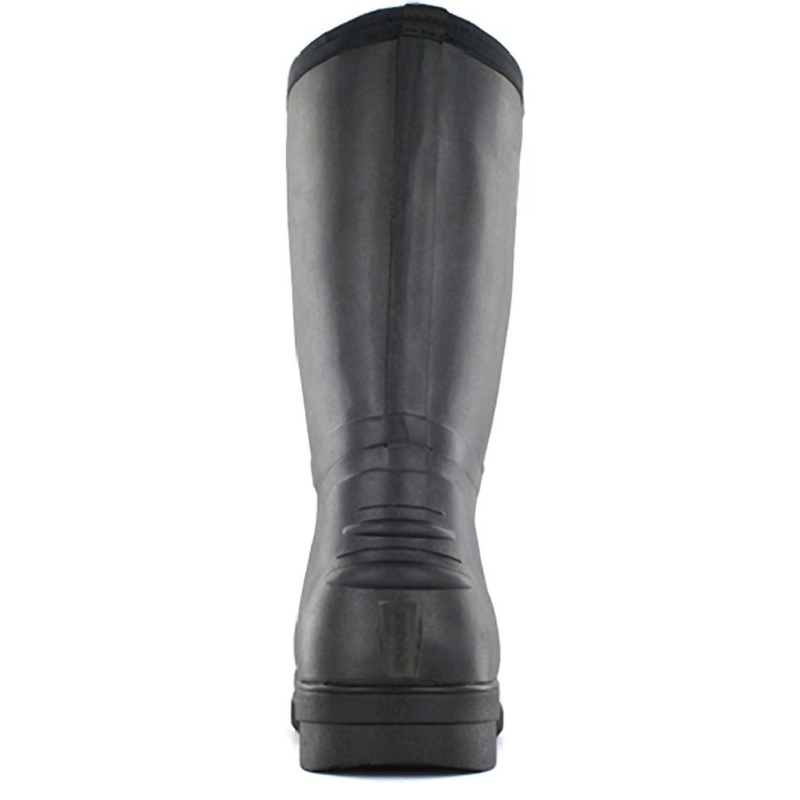 The boot’s soft and flexible rubber upper can be rolled down in warm conditions and a rigid, wide steel shank offers extra support. Meets all ASTM slip and chemical resistance standards. 100% satisfaction guaranteed.